I managed to get a little done this Friday night for our monthly virtual stitch-in ....a little cross stitching, just for something different. I picked this up at my local op-shop, semi-completed and just loved it, so thought I'd finish it off. It is a kit, so had all the threads with it, all I need do is pick it up and get started, no searching for anything - it is all there. 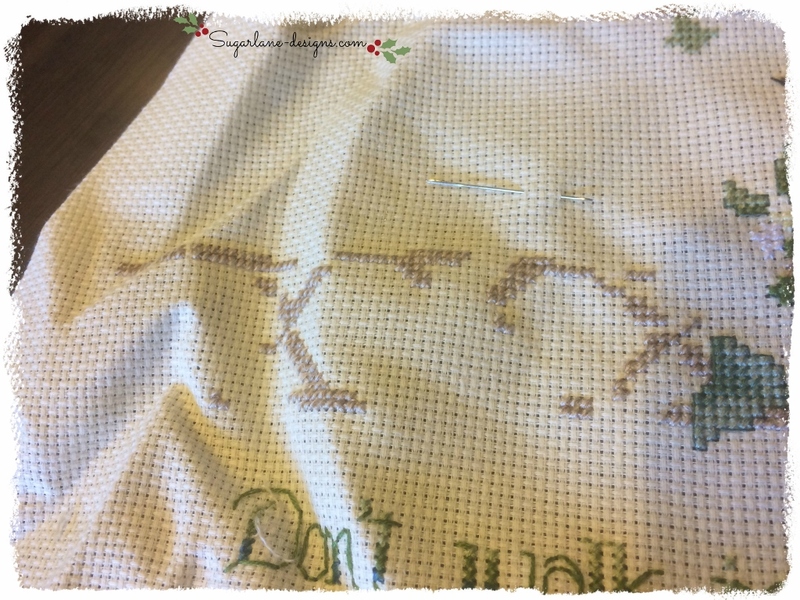 So, that's what I did for our FNSI....as it's a counted cross stitch, I have to count the stitches on the pattern and make the design match.....no mean feat on a Friday night, particularly when you haven't been stitching it and I must admit, even with cross stitching I had to do a little bit of reverse stitching! What doesn't appear much, took me the whole night...counting, stitching, unpicking, recounting, restitching....you get the picture, don't you? But I'm happy with how it's coming along....truly slow stitching, but it helps me to relax so I'm satisfied that what doesn't look like much has been completed, now onto the next bit. I think I'll tackle the next little bird in the middle. So sweet, they look like the little finches that gobble up the seeds in the garden. I remember taking one to the local vet when it fell out of the mother's nest at school.....the schoolchildren and I mollycoddled it all day and I took it to the vet in a shoebox that afternoon after school......poor vet didn't have the heart to tell me he couldn't save it...told me he'd do his best. All God's creatures deserve a chance, regardless of their size or 'value' to others. I really appreciated his thoughtfulness....so much so, I haven't forgotten it yet, and that was a good ten years or more ago. 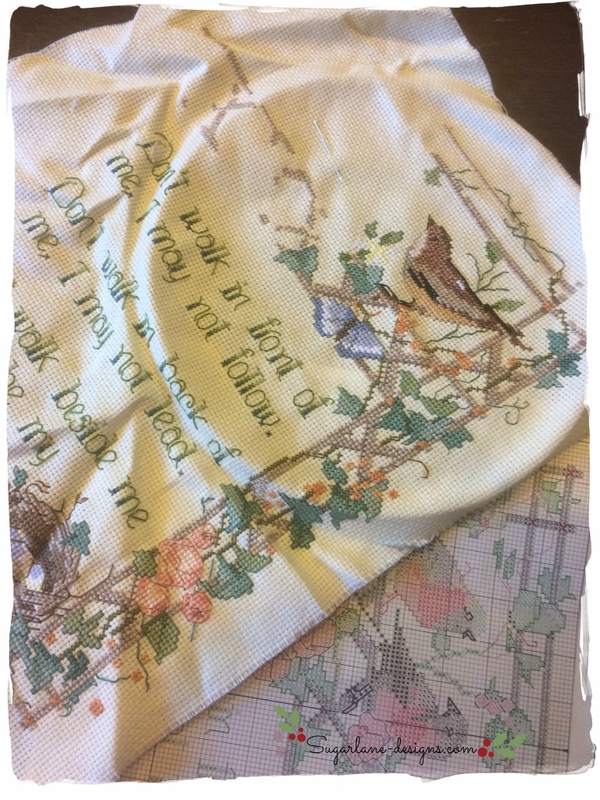 Have you been to visit everyone to see what they've been stitching up? 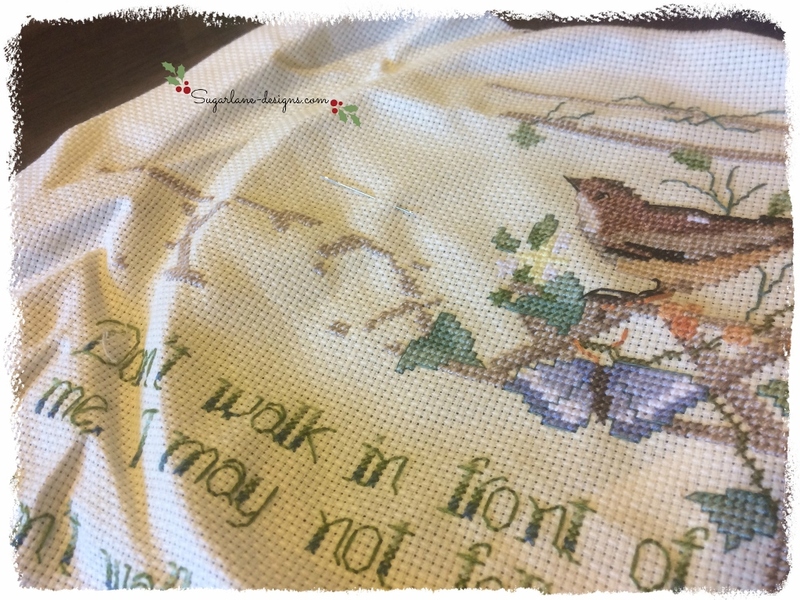 Drop back HERE and see all my stitchy friends to get a good dose of inspiration. I always get my dose of 'oohs' and 'aahs'. Pop back tomorrow to see who our winner for December is. I'll be going on holidays tomorrow, down south to visit family for Christmas so may or may not be blogging....I'll try and do some mobile posts.....not as pretty but at least you can come with me on my holiday away (first one in more than ten years!). before starting quilting and also before lace making, I also stiched a lot such little pictures. So, I know how time-consuming it can be. It looks wonderful! I'm looking forward to see the finished picture. I did a little bit of sewing last night. I will post today. Hi Wendy, I have done that cross stitch and loved it. It is hanging in one of my sons bedrooms, but sadly I have lost the pattern as I stitched it quite a few years ago.I am sure you will enjoy stitching it. Have a wonderful & safe holiday! Your next one should be sooner than 10 years from now though! Thank you so much for hostessing these sew-ins! 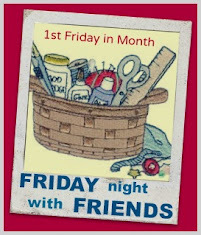 It's a great concept and I know I'm speaking for everyone when I say that this is one of the best evenings each month! What a great find .. enjoy finishing it.. This will be so very sweet when it is finished. Good on you for rescuing it.